The Lexington Center Ticket Office handles ticket sales for most events held at the Lexington Opera House. Ticketing for certain local productions is handled through private organizations. Please check the event listing to obtain directions for purchasing tickets. Open 90 minutes prior to show time. During daily operation, the Lexington Center Ticket Office is located just inside the High Street entrance of Lexington Center, between the Hyatt Regency and Rupp Arena. The ticket office at the Lexington Opera House opens inside the Short Street entrance beginning 90 minutes prior to show time. The Lexington Opera House is not able to honor, replace or refund invalid tickets. Invalid tickets must be confiscated by the Lexington Center Ticket Office. 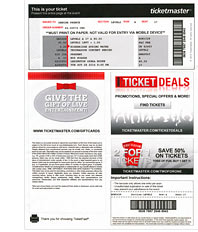 A copy of the tickets, which may be used to alert the point of purchase, will be provided at the customer's request. Customers with invalid tickets are welcome to purchase valid tickets at the Lexington Center Ticket Office - seating location and price based upon availability. Mobile tickets are special barcodes that pull up on your phone, please go directly to the turnstile/ticket scanners with your mobile device. Have them scan the QR codes on your phone.You may want to add these to your device in advance via Passbook or take a screenshot of the mobile ticket prior to coming to the event.Mobile network access can be extremely difficult on site with large crowds. Note: Print at Home tickets will not be scanned on a mobile device. Make sure to print these PRIOR to coming to the show. These are your tickets; please go directly to the turnstile/ticket scanners. If you give your print at home tickets to someone else, make sure you give them the most recent ticket version. Every time you open this ticket file on Ticketmaster for printing or pull up the mobile ticket, you void all previous barcodes. Be aware that mistakes like that will cause your friend to miss the event. They will reject at the entrance and tickets can only be reprinted for the original purchaser. Make sure you have your photo ID. The Will Call window is located on High Street at the Outside Ticket Office windows. Will Call will only be released to the person on the account with a matching ID. Bring the card used for purchase to help locate the order quickly. If you chose e-tickets when you ordered, you are mobile or print at home, not will call. If tickets were mailed to you directly, please remember to bring them with you and go directly to the turnstile/ticket scanners. 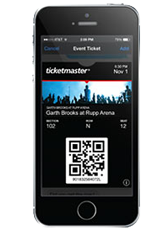 Canceled Events – If an event is canceled and you purchased tickets through either Ticketmaster’s phone room or their website, you won’t need to do a thing; they will inform you of the cancellation and refund the amount you paid for your tickets, including all fees on the same payment method used for purchase. If you purchased tickets at either a Ticketmaster outlet or through the Lexington Center Ticket Office either in person or through their phone room, you will need to return to the point of purchase with your tickets and they will refund you directly. Again, your refund will include both the face value of the ticket and the corresponding service fees, if any. Reschedule Events – If your event was rescheduled, we’ll contact you with the new date and time ASAP. Can’t make it? The decision to issue refunds for rescheduled/postposed events is up to the individual artist, team or promoter, but we’ll do everything we can to help! Just contact us. Replacement Tickets – If your tickets are lost, stolen, damaged, destroyed or not received, please let us help. Just contact us. Refunds and Exchanges – The standard policy for our venues as well as most artists and promoters is “no refunds or exchanges.” However, if something comes up prior to the event’s show time, we’ll do everything we can to help, but there are no guarantees. Please contact us. Service/convenience fees are charged to all online, phone and outlet orders on a per ticket basis. These fees cover the costs that allow Ticketmaster and Lexington Center to provide a wide range of purchasing options for ticket buyers. The charge varies by event and ticket pricing. Purchasing tickets in person at the Lexington Center Ticket Office or Opera House Box Office is the only way to avoid service fees. It is our goal to provide exceptional customer service. Your feedback is important to helping us achieve excellence and employees are even rewarded when we hear good feedback. Please let us know how your experience was…please contact us. 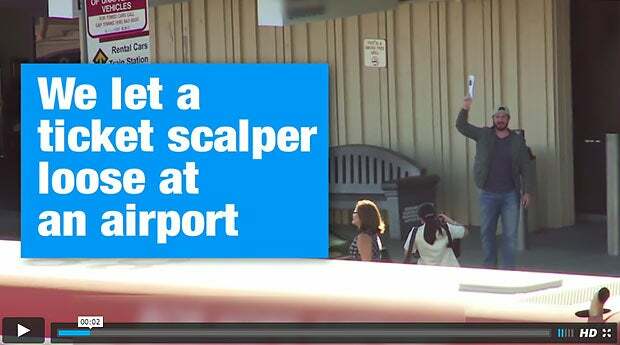 What happens if you have a ticket problem? The ticket office will be available to help with a variety of ticket issues. 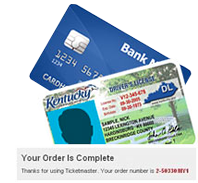 Make sure you have your photo ID (required), the confirmation number and card used for purchase (very helpful in locating the order quickly). If you gave your tickets to someone else, and they have problems upon entry there is little the box office will be able to do to help. We will evaluate all issues and let the patron know what we can do to help if anything. Tickets being used by patrons who are not the original purchaser (such as tickets purchased on the Secondary Market) cannot be validated, thus making it very challenging to help. In most instances, these patrons will need to purchase tickets to get in to the event.